You saw them at CES in the spectacular LG OLED Tunnel and breathtaking LG OLED Canyon: Extremely thin, lightweight and flexible Open-Frame LG OLED panels working together to create stunning, immersive environments that were never before possible with digital signage. Angle – The display provides an extremely wide viewing angle of 178 degrees, where images and text remain clear and colors stay vivid. Black – LG OLED is able to render perfect black because each self-lighting pixel can brighten, dim, or turn off completely. Contrast / Color – Perfect black enables infinite contrast ratio, maintaining incredible image sharpness when bright objects are next to dark areas. 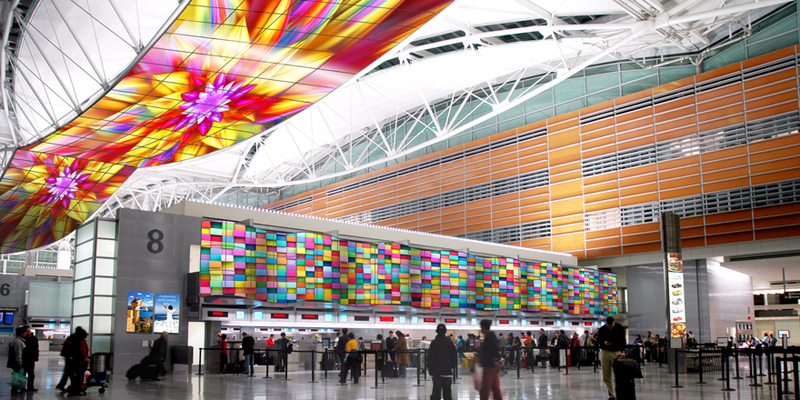 Colors pop like never before, with intense saturation and greater accuracy. Design – With no additional lighting unit needed, LG OLED is extremely thin, lightweight and flexible. It can blend into the environment, enhance the environment, transform the environment or become the environment. So how does one install Open-Frame LG OLED digital signage? This video will show you. 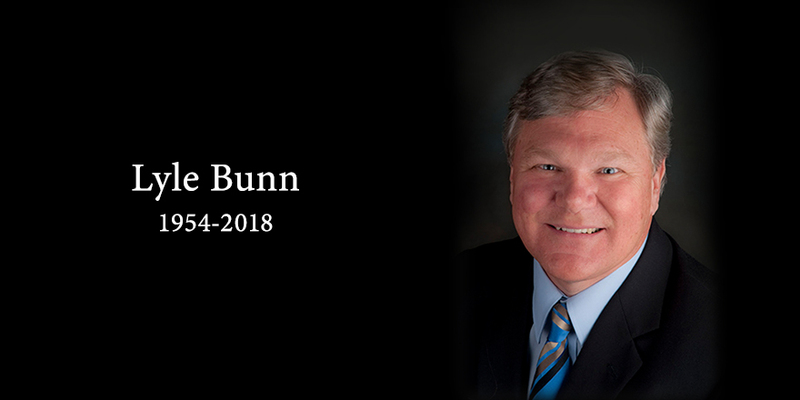 This week the online tributes have been pouring in after the passing of Lyle Bunn, renowned analyst, advisor and educator in the digital signage industry. As we read them on various sites we nod our heads and smile. The affable man they describe is the man we knew – always learning, always sharing his knowledge and insights, and always eager to help others succeed. We caught up with Garry Wicka, Clark Brown and Dan Smith, LG’s head of marketing, vice president of sales, and vice president of business development, respectively, who had known Lyle both as a person and as an industry member. “A couple years ago I had the great pleasure of going to a Toronto Blue Jays game with Lyle – part to discuss business, part to just watch a game and drink a beer. During the game Lyle casually mentioned that there is a street in Canada named after him because of baseball. “My first assumption was that he was an amazing pro athlete that we just didn’t know about and his hometown wanted to celebrate the fact. It turned out I was a bit off. “Smiling Lyle shared the story. When he was younger he used to help coach with his father a local semi-pro team. There was an annual tournament in a town close to where he grew up – for some reason that specific year the winner of the tournament was going to get to name one of the town’s streets. During the game Lyle was coaching third base. The game had gone back and forth and in the ninth his team was down by one run. His dad knew that Lyle was great at reading pitches, and being down to their final out made a substitution and actually brought Lyle in to bat – sure enough Lyle had been paying attention to the pitcher. On the first pitch Lyle knocked out a three-run homer, winning the tournament for the team. He was the hero of the game and so the town went ahead and changed one of the road names to his. Thank you Lyle, for setting the bar so high. Rest in peace, dear friend. Last week we touched on what’s happening with digital signage in the QSR industry. This week we’ll get into the benefits digital signage is bringing to QSRs, regardless of the size of the restaurant or the number of restaurants in the chain. Perhaps the biggest benefit of digital signage for a QSR is speed. When customers can clearly see bright, well-organized menus and promotional content, along with high-resolution images of the food items, they can more easily make their decisions on the spot. This helps keep the lines moving so customers can get their orders quicker, enjoy their meal and get back to their day. Another benefit is a reduction in perceived wait time – by displaying entertaining content, such as video clips, customers are given something to do while they wait in line or at the table. Self-order kiosks with touch screen displays also improve the customer experience. Customers do not have to wait in line, ordering accuracy is virtually guaranteed, loyalty apps can be scanned and service is quickened. Self-order kiosks can also help increase sales as they recommend additional items during the ordering process. Digital menu boards and promotional displays can deliver marketing messages efficiently and effectively and are more likely to grab the customers’ attention than static signage. Eye-catching graphics and short video clips promoting new items, high-margin items or special pricing increase upselling/cross-selling opportunities and the chance of impulse purchases. Digital signage can enable QSR business owners to have remote, centralized control of the displays and their content, which means that the owners can make menu changes or add new messaging at any time with just a few clicks. This eliminates the time and burden of manually replacing static menu boards and signs, as well as the recurring costs associated with static menu updates, such as printing, shipping and installation. Automatic dayparting is a great advantage for QSR. With a CMS partner or content management software, digital signage can offer the ability to seamlessly switch between breakfast, lunch and main menus according to a set schedule. This eliminates the need for QSR employees to climb ladders behind the counter or run outside to the drive-thru and manually remove and insert menus throughout the day. Automatic dayparting can be done from a centralized location to cover multiple sites so that all menus in all restaurants switch simultaneously. If the QSR has an upcoming LTO they can run a short promotional video clip on their displays so customers will know it’s coming. And when it does, if the QSR runs out of that LTO item they can immediately remove it from the menu rather than have upset customers that want the product but cannot get it because it is sold out. Digital signage can help reduce wasted product and the associated lost revenue. If a QSR realizes they have ordered too much chicken, for example, they can ask their CMS partner to create and run a short video clip promoting a manager’s special on the chicken sandwich. This can quickly boost sales and reduce the excess chicken inventory that might otherwise reach its sell-by date and have to be discarded. Approximately 70% of QSR business is done at the drive-thru. 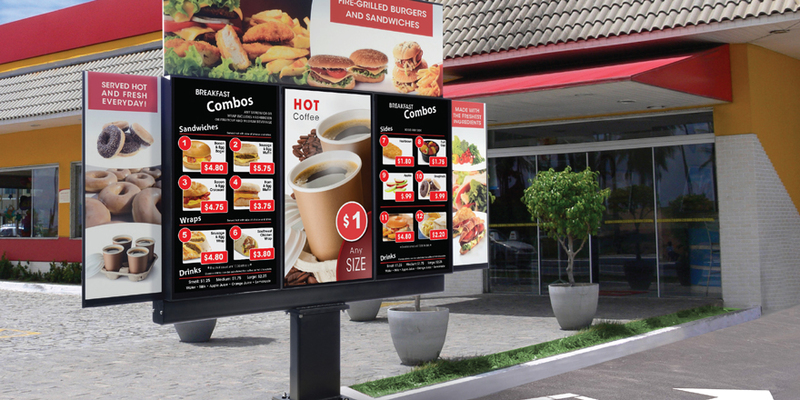 Having all-weather outdoor digital signage at the drive-thru can help increase sales in a number of ways: 1) Presell – Promote a new menu item at the drive-thru entrance. 2) Upsell – Display high-margin items to entice customers into additional purchases. 3) Promote – Display eye-catching LTO information and images of meal deals. 4) Highlight – Prominently feature bestselling menu items to encourage quick sales and faster ordering. When integrated with the ordering system, digital displays in QSR kitchens and food prep areas can facilitate quicker, more efficient and more accurate operations because workers see exactly what needs to be made as soon as it is ordered. No more relying on little slips of paper. In the QSR business, time is money. Digital signage can quicken the QSR experience outside, inside, for customers and employees, and have a positive impact on the bottom line.